Engineering reveals itself in all sorts of ways on highways. 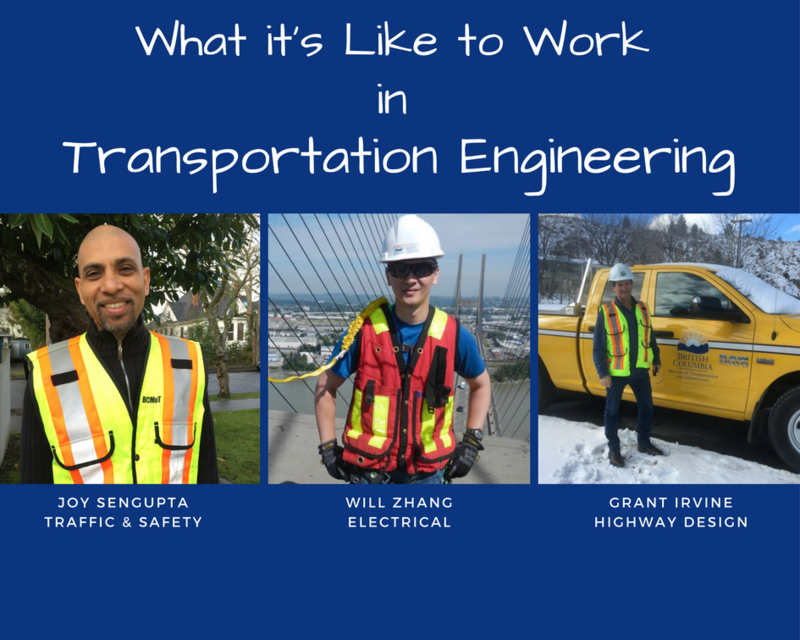 To help you understand the wide range of engineering expertise involved in building and improving transportation in British Columbia, we created a blog post summarizing the 4 Types of Transportation Engineers. But now we want to go a step further by introducing you to some of the people who make up our engineering team. So, we asked an engineer from each discipline a few questions about what their work is like and why they enjoy doing it. We start here with our highway engineers. And since there are essentially three sub-groups within this realm, we’ll dedicate this blog post to traffic and safety, electrical, and design. 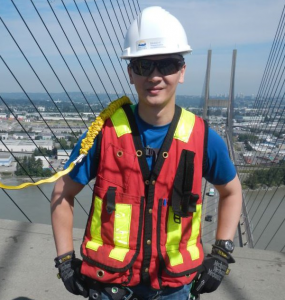 In Part 2, we’ll explore our geotechnical, wildlife, and structural engineers. Explain what you do, in a nutshell. My primary role is to improve road safety for all road users on provincial roads. I do this by analysing traffic collisions and using advanced methodologies such as the collision prediction models to assess the safety performance of a road and road design. With this knowledge, and working with other road safety partners internal and external to the ministry, I make recommendations to improve safety on our roads. What would BC highways look like without traffic and safety engineers? 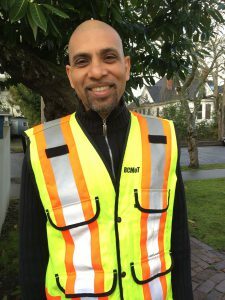 Traffic and safety engineers are vital to transportation engineering. They are involved in day-to-day traffic operations and road safety activities. They establish rules of the road, standards and guidelines, and process and procedures for engineering requirements to provide orderly and safer road passage for all road users. Their efforts aim to avoid misunderstandings, confusion, and unnecessary controversy. What is the most satisfying thing about your work? Is there a specific career highlight, so far? As a road safety engineer, direct involvement in activities to save lives and reduce collision severity is very satisfying. I am in a position to influence implementing new ideas to improve road safety. Developing policy and standards at provincial and national levels to bring about a positive change in road safety has been very rewarding. Being always able to explain cause and effect of change in collision frequency and trends can be quite challenging. Even with constant efforts to improve safety, collision frequency and trends can be positively down or unfavourably up. There are many factors that affect road safety. Driver behaviour is one such factor that plays an important aspect of road safety as drivers’ perceptions of safety keeps changing with time and advancement of technology; however, this aspect is challenging to quantify. If you could shadow an engineering department colleague from another discipline, which discipline would it be? Why? Structures, in particular bridges, fascinate me. They are majestic civil engineering masterpieces of art and science at full display serving mankind. I am an electrical engineer and employed as the Intelligent Transportation System (ITS) Operations Manager. In a nutshell, my team and I support all the systems and ITS devices across the project. We provide technical support to the Regional Transportation Management Centre (RTMC) and other ministry business units. We work with electrical maintenance contractors across the province to ensure all the electronic signs, cameras and traveller information systems are running. 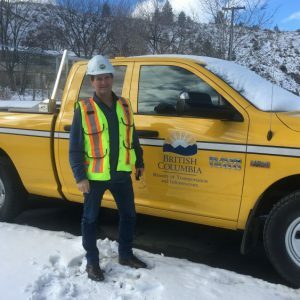 What would BC highways look like without electrical engineers? The highway would not have electronic signs warning motorists of traffic, weather and other important events. The public would not be able to make travel decisions from the DriveBC camera images, live travel times and border crossing times. Imagine travelling on the highway in the 80’s and depending on the local radio station. Driving by a sign or camera on the highway and knowing how it works. Like most engineers, I like to know what makes things tick. If I had to pick one – counting and keeping tracking of all the equipment deployed in the field. There are hundreds of ITS devices, and new ones coming online all the time. Sometimes it can be a feat to keep track of the equipment and sometimes very specific technical details for specialized builds. As the Senior Engineering Manager with the ministry’s Highway Design Services Group, I lead a team of talented engineers and technicians to deliver engineered highway design for improvement projects. In order to get things done, we rely heavily on our contracted engineering consultant partners, as well as our own internal resources. What would BC highways look like without highway design engineers? Highway design engineering work on all highway projects is significant. While much occurs in the background, the public expects that the highway design engineers are working to ensure their interests are protected, in terms of cost-efficiency, safety, and sustainability. Without the involvement of our highway design engineers, accountability toward the public interests would come into question. I have had the opportunity on many challenging and rewarding projects and initiatives during my career. More recently, due to many retirements, it has given me great satisfaction having the opportunity to shape, develop, mentor, and ensure good guidance toward the careers of a now younger team that will “take the reins” in the decades to come. The production of highway design work is a very dynamic process, involving critical inputs from multiple engineering disciplines, ministry operations and stakeholder interests. As such, it is a significant challenge to ensure all these needs are properly considered and timely, appropriate responses are incorporated into the outcome. I have great respect for my colleagues from all the engineering disciplines involved in highway engineering work. It’s an excellent group. While not to diminish the importance of any particular engineering discipline, any engineered design requires practical considerations around constructability. I personally have gained incredible insights from those working in the Construction Group and look forward to a continued, close working relationship. Now that you’ve heard directly from some of our highway engineers, which type of work do you think sounds most interesting? Hold on a sec – maybe you should wait until after reading Part 2… coming soon. Wow, and I thought a Transportation Engineer was a Civil Engineer involved in planning, functional design, operation and management of transportation facilities.